I noticed during our first few weeks of school that there were some behaviors happening with the kiddos that were making our days more challenging. I’ve used Quiet Spray before and it worked wonders, but I wanted something smaller so I could make a few different versions and they wouldn’t take up a bunch of space. I was visiting my favorite teacher supply store (The Dollar Tree) and spotted some plastic salt and pepper shakers. I got two sets and got to work. I unscrewed the tops and painted the inside of each one a different color. It took two coats to get the coverage I wanted. 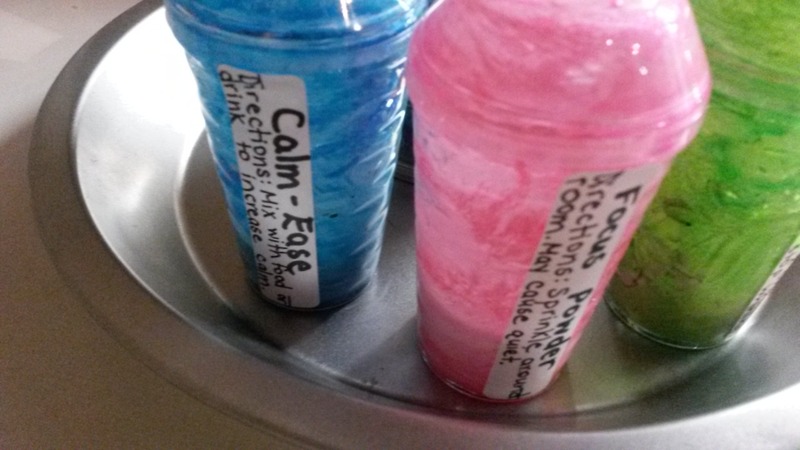 Once they were fully dry, I raided my sensory table supplies and put something different into each shaker. One got coarse salt, one got rock salt, one got rice, and one got dry beans. I then used white glue to glue to tops on (and keep curious kiddos from opening the shakers) and to seal the holes on the top. We also talk about checking the batteries in our listening ears. 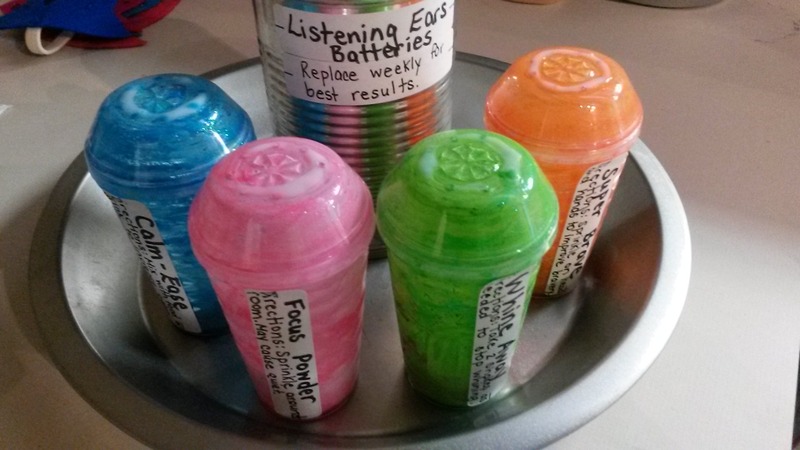 One of the kiddos asked where we keep the extras, so I found a can in my stash of empty containers and made a label for it. Of course, Listening Ear Batteries are invisible. You just reach in, take two, and pop them in your ears.